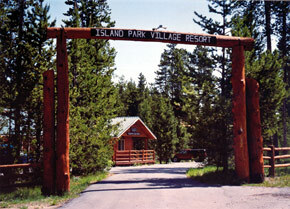 Island Park is an all season playground near the West Yellowstone entrance to Yellowstone National Park. Every type of freshwater trout fishing can be found within a 30-minute drive. West Yellowstone, gateway to Yellowstone National Park (closed early November to late May) is just 22 miles north. Snow mobiling is very popular in the area, where there are over 300 miles of groomed trails. 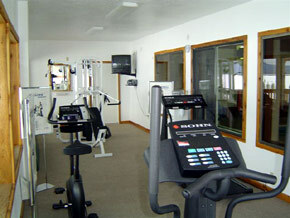 Cross country skiing is available on site. 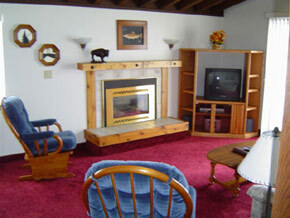 Also enjoy fly fishing, dancing, horseback riding, shopping, hiking, and camping near by. West Entrance to Yellowstone Park closes each fall and spring; normally November through early December and late April through May. Check http://www.nps.gov/yell/index.htm for specific closure dates. For Northbound guests, take Highways 20/191 North from Ashton, ID 35 miles to mile maker 394 1/2. Turn right at North Big Springs Loop Rd. (Chevron Gas Station) Resort is 1/2 a block on the left side of the road. 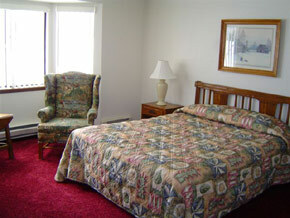 For Southbound guests, Highways 20/191 South from West Yellowstone for 22 miles. Turn left at North Big Springs Loop Rd. (Chevron Gas Station) The resort is 1/2 a block on the left side of the road.